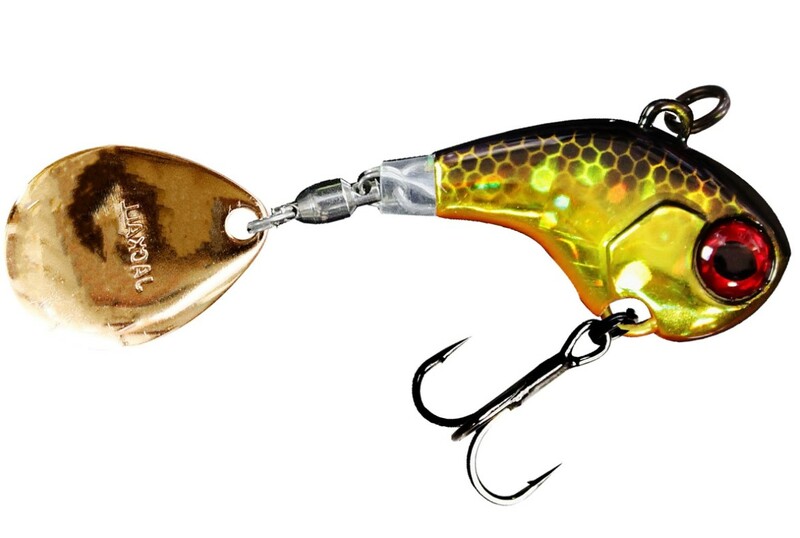 Jackall Lures announces two new lures and a color expansion in an existing lure. Lures from ICAST 2018 have also begun arriving in stores and ordering sites. The Chubble Crankbait from Jackall is accompanied by the Deracoup Spintail Jig as the two newest lures in the Jackall lineup. The color expansion is happening in the Rhythm Wave soft plastic swimbaits. 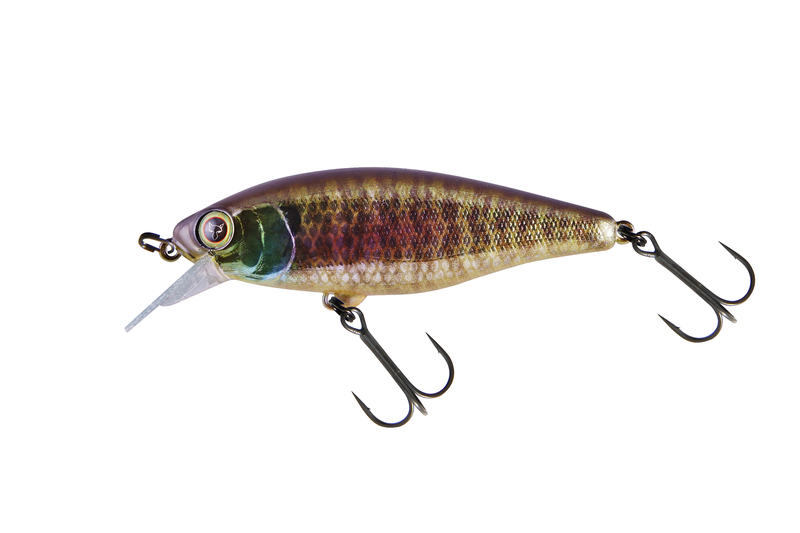 CHUBBLE Crankbait – With its magnetic weight transfer system for ‘cover more water’ long casts, along with providing the balance to keep it running true even when cranking fast, Jackall Lures offers the new Chubble 80SR, a minnow-shaped, square-lipped crankbait. Whether your bass fishing is all about weekly jackpot tournaments or relishing those days when you can get out on the water, the Chubble 80SR is the ideal size for use in bass waters nationwide. 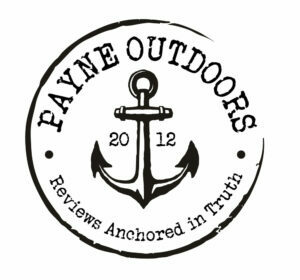 Its 3.1-inch length helps with buoyancy, while the square bill bounces off rocky areas and timber to minimizes snags. Jackall uses a Nano-coated hook to create zero friction for ‘set-the-hook’ penetration, and a hook bumper to keep the hook true by preventing interference with the magnet in the lure’s body. 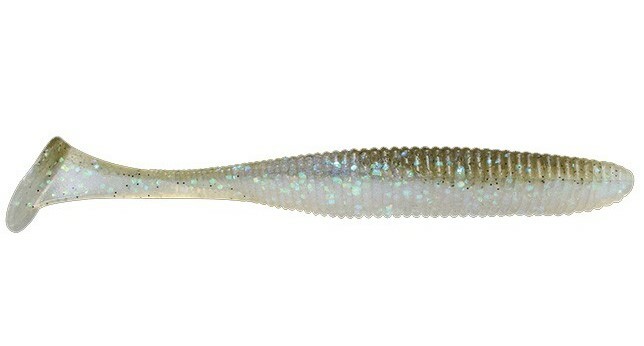 Available in eight colors – RT Holo Bluegill, RT Scale Minnow, SG Threadfin Shad, Ghost Wakasagi, Super Shad, Blueback Gold Chartreuse, RT Escape Craw, Black Back Craw, the Chubble 80SR weighs in at a ½-ounce, and retails for $14.99 (USD). DERACOUP Spintail Jig – From a boat, from a pier and also productive from shore, Jackall’s new Deracoup spintail jig offers a slew of design features to entice fish to eat. 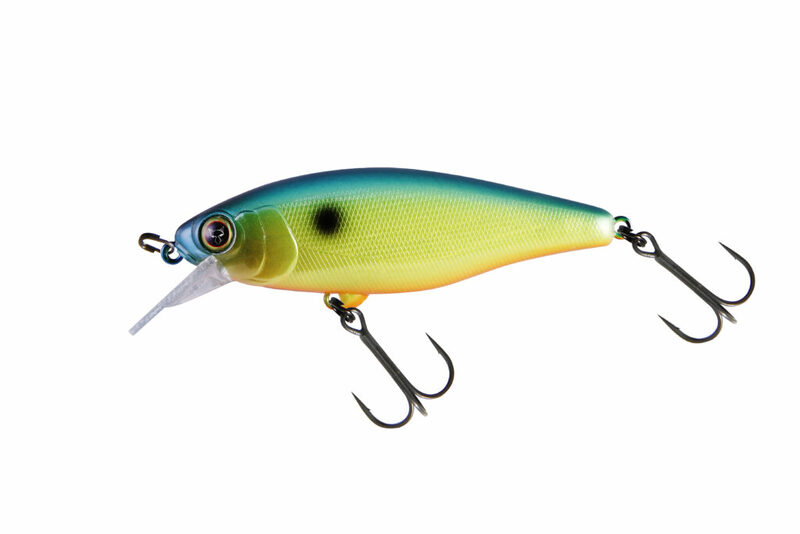 Offered in three sizes – ½-, ¾- and 1-ounce, the long-casting Deracoup has a low-profile compact metal body to mimic the shape of baitfish. While being retrieved, the Deracoup’s rear blade both flashes and vibrates to catch the attention of nearby fish. 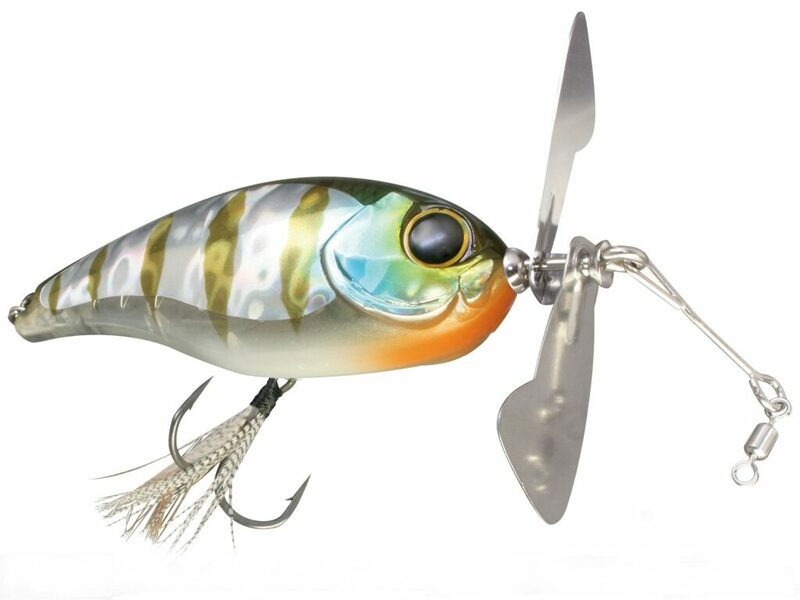 The bearing swivel that attaches the blade to the lure body lets the blade move fluidly while using a lift and fall technique. A special tube in the rear reduces line tangles, a common problem with other spintail jigs. Each Deracoup spintail jig size is offered in eight colors – Blueback Chartreuse, Clear Shad, Dera Shad, HL Bluegill, HL Gold Black, HL Lime Gold, HL Red Tiger and Silver. They retail for $9.99 (USD). RHYTHM WAVE Soft Swimbaits — All four sizes – 2.8-, 3.8-, 4.8- and 5.8-inches – are now offered in 10 different colors with the addition of two new colors – Green Pumpkin Watermelon and Goby. They retail for $4.99 per package (USD). 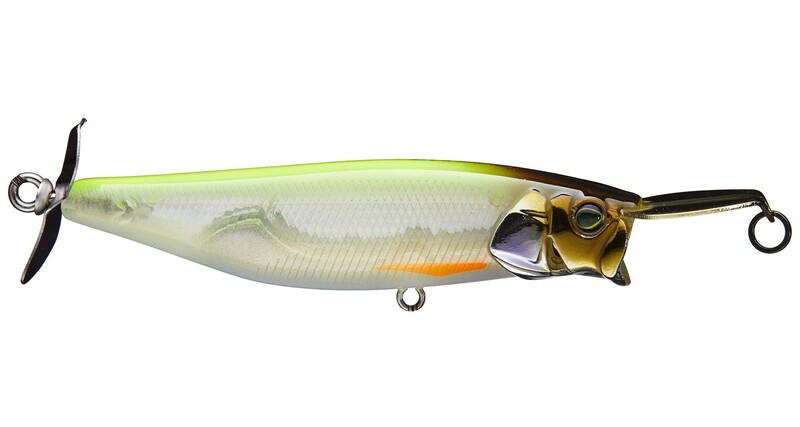 CHOPCUT Topwater Lure — With an asymmetrical prop design to ensure proper rotation and creating different sounds depending on retrieve speed, Jackall’s new ChopCut topwater lure features a front wire with attached swivel. Anglers can cast freely without their line tangling with the prop, plus a swiveling feathered front hook helps prevent bass from spitting the lure. Jackall puts a special coating on both the front and rear treble hooks for easier penetration. RISER BAIT 009PS Surface — With the same unique upward angled lip as the Riser 007R, the new Riser 009PS offers a cupped lip and bigger body to create an even more fish-attracting disturbance. With gill slits to generate bubbles as it comes through the water, the 3.3-inch, .75-ounce Riser 009PS can easily be cast with baitcasting gear.